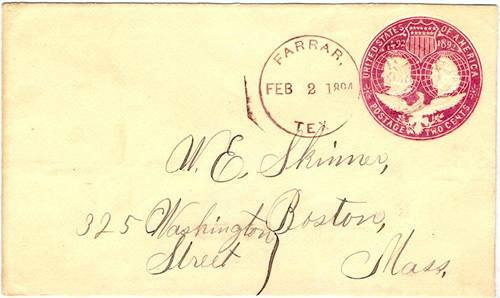 Lochin Johnson Farrar is the community's namesake, Mr. Farrar having settled here in 1859. While settlement is thought to have occurred sometime prior to that date; it wasn't until the early 1880s when a community finally formed. A post office was granted early in that decade and opened in the community's store. From a population of just twenty five in 1884 the town slowly crawled its way to seventy five by 1914. Farrar spent the next few decades minding its business and not much happened. The 1940 census counted 150 people - the town's peak. 1990 reported fifty-one people and the same number was used in 2000.